The good news about regular expressions is that you can use them with a wide variety of applications and programming languages. The bad news is that the developers of each regular expression engine (the software component that executes your regular expressions) has their own idea of what the regex syntax should be. 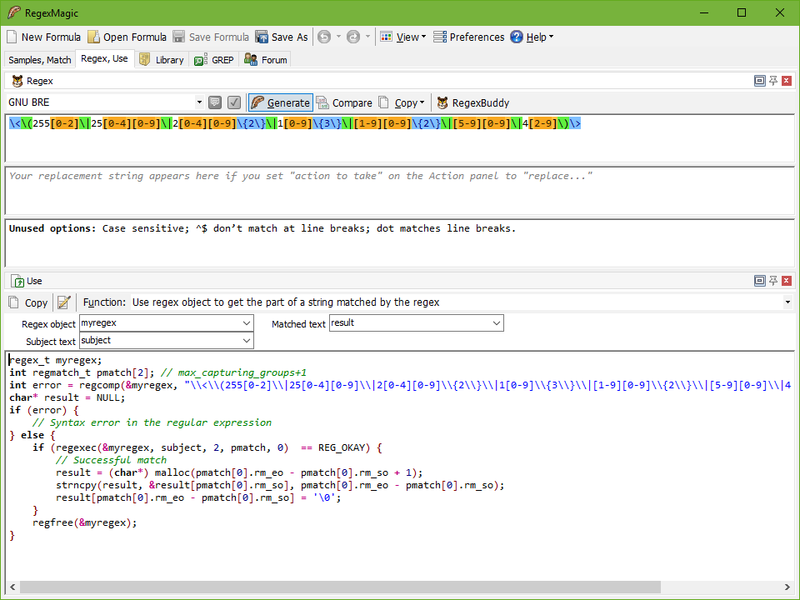 That has resulted in a wide range of regular expression flavors. Though many claim to the "Perl compatible", there are significant differences between most flavors. 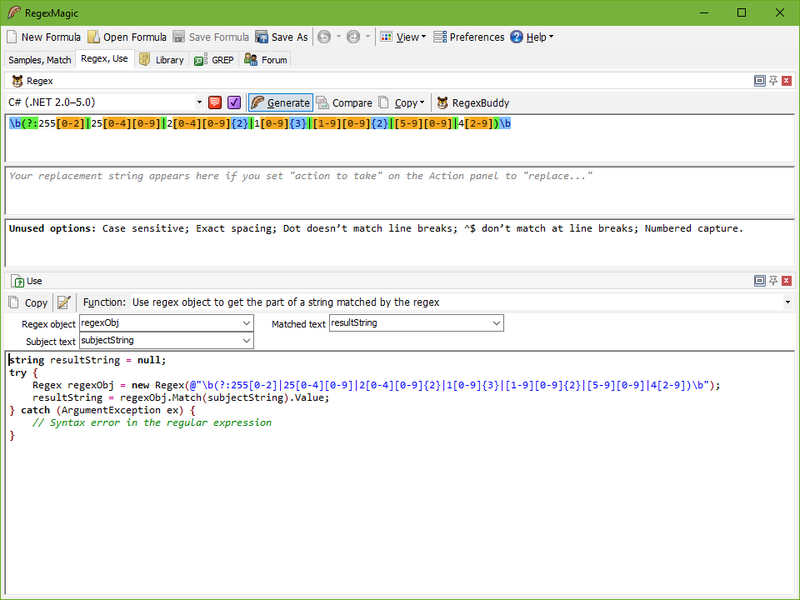 Fortunately, RegexMagic takes these differences into account when generating your regular expressions. 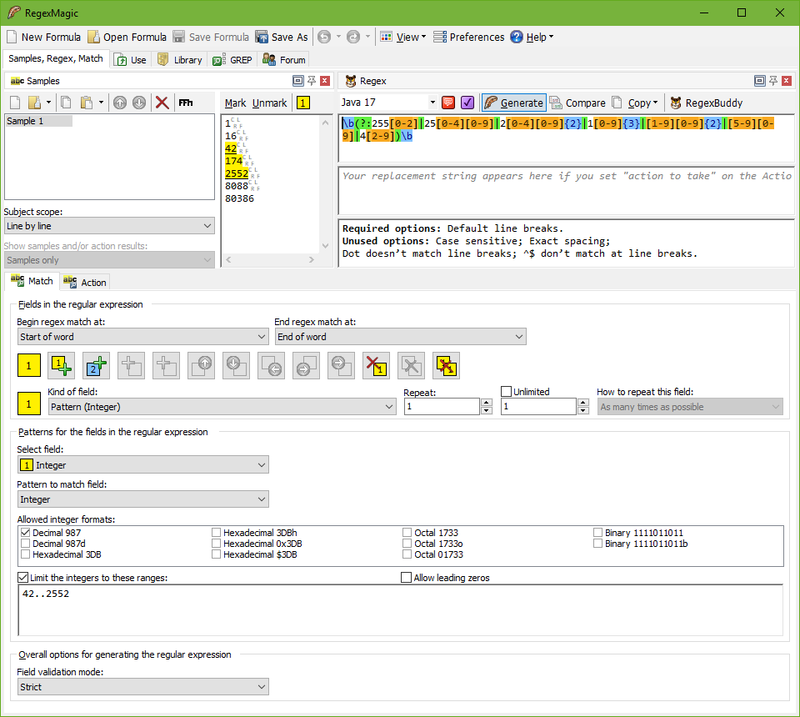 RegexMagic supports 251 applications. This includes all the programming languages popular today, as well as the regex engines that are powering the regex features in most applications you use. The number is so large because it includes many different versions of the same applications that have different regular expression features. All you need to do is to select the proper flavor in RegexMagic, and RegexMagic generates a regular expression that works perfectly with your programming language or application.